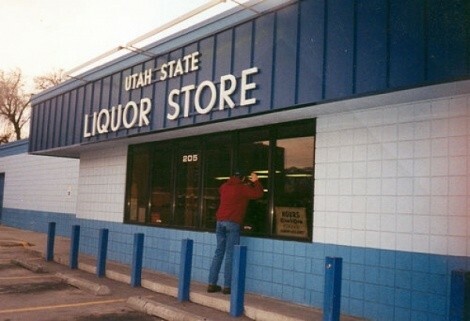 Only in Utah would a liquor store miles away be considered convenient. Yet, that’s exactly what the Legislative Auditor General has determined in an audit, released May 24, of the Department of Alcoholic Beverage Control. The auditors recommend closing liquor stores in Provo, Orem, Salt Lake City and St. George because of other stores in close proximity. For example, in St. George, they write that a new store is “only 2.35 miles” from an older store—which happens to be the only other state liquor store serving the city—so the older store should be closed. These stores aren’t losing money, because the state liquor monopoly couldn’t lose money if it tried. Customer service, however, is apparently a foreign concept to auditors. The American Civil Liberties Union of Utah has filed a lawsuit—something they haven’t done since 2005, as detailed in a recent City Weekly cover story—with the Utah Supreme Court on behalf of Farley Anderson, an independent candidate for governor who collected the 1,000 required signatures to have his name on the ballot. But some of those signatures were electronic, which the Utah Elections Office claims are not valid. The hearing is scheduled for June 2, and a ruling in favor of Anderson could help Utahns for Ethical Government, which is trying to put ethics reform on the 2012 ballot. Electronic signatures are already considered valid for everything from license renewals to tax returns, yet remain inadequate for petitions. It’s a digital world, and hopefully the Supreme Court justices can help push the state into the 21st century. Despite a tight budget that requires measures like dimming street lights, Salt Lake City Mayor Ralph Becker wants to spend $100,000 to study a plan to develop marshlands west of the airport. What won’t be studied, however, is whether the LDS Church’s proposed Northwest Quadrant project, which could house 100,000 people, should even be built. When Councilman Luke Garrott challenged the so-called progressive Becker about the study in a recent City Council meeting, Becker said the “no-build” option would be studied later. Which makes sense, because the best time to realize something shouldn’t be built is after it’s finished.